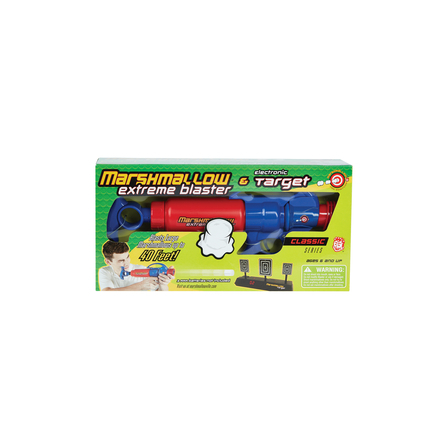 A booming success with kids of all ages, the Classic Extreme Blaster shoots large marshmallows up to 30 feet in a straight line. In the world of marshmallow warfare, the Blaster is one of the key weapons of marshmallow destruction. This single-action, lock-and-load unit fires one marshmallow at a time — it's time to lock and reload and continue having a blast!